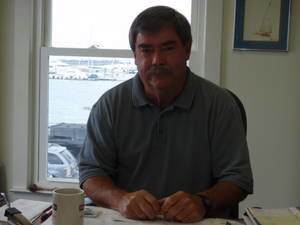 Peter, a Charleston native, began work at Charleston Yacht Sales in 1970. Fresh out of college, and looking for what he thought would be a summer job, he instead found his life’s work. Peter took over the business in 1979 and has been at the brokerage ever since. He grew up sailing and fishing out of Charleston Harbor, and has competed in sailing events all over the US and Caribbean as well as abroad. Peter’s knowledge is based on experience, having traversed the East Coast and Caribbean in nearly every type of boat imaginable, both sail and power. During his 38 year tenure in yacht brokerage, he has experienced virtually every nuance one may encounter in the sale or purchase of a vessel. His knowledge of the market value of a vessel draws from the experience of having worked through many economic cycles. This wealth of experience enables Peter to achieve success in every transaction, whether it’s establishing a selling price that will promote a timely sale for your boat, or helping you find the boat of your dreams that is both well-found, and fairly priced. In 2002, after a comprehensive examination, Peter was one of the first 50 yacht brokers in the country to achieve the designation of Certified Professional Yacht Broker from the Yacht Brokers Association of America. He is licensed and bonded in the State of Florida, as provided by law. Whether a 30’ downeaster, an 80’ sailboat, or anything between, Peter’s knowledge and experience assures your complete satisfaction and peace of mind.